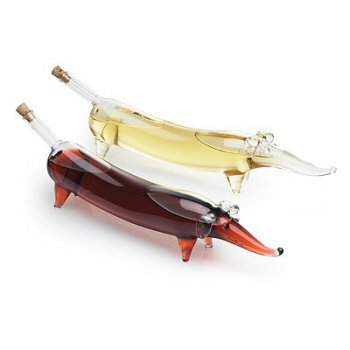 Salads are more fun when you dress them with these adorable dachshund oil and vinegar bottles! This cute pair can be filled with your favorite oil and vinegar for salads, dipping bread, and cooking. Pour the oil and vinegard from their little tails, which are capped with tiny corks when not in use. For more information about the wiener dog oil and vinegar bottles, click here.